376 Totnes Road is a two bedroomed detached bungalow occupying an elevated plot in the popular location of Collaton-St-Mary. In our opinion the light, bright property has been well presented and maintained by the current owners and the features include lounge with bay window and parquet flooring, separate dining room, fitted kitchen with Shaker style units, two double bedrooms and shower room. Externally, the gardens are lawned with the front enjoying views over the surrounding area and the rear garden backing onto open Farmland. Internal viewing of this stylish property with scope for further extension or loft conversion (subject to planning) is highly recommended. This superbly presented two bedroomed terraced cottage occupies a level residential position within just a few hundred yards of Victoria Park and Paignton town centre which offers a wide and varied range of shopping facilities and amenities plus beaches and harbour. Features of the accommodation which is a credit to the owners include cosy lounge and separate dining room, fitted kitchen, two bedrooms and bathroom/W.C. The accommodation has the benefit of uPVC double glazing and there is a useful utility/store to the rear where there is an enclosed courtyard. An internal inspection is highly recommended to fully appreciate the accommodation on offer. This virtually rebuilt three bedroomed semi-detached house occupies a residential position within just a few hundred yards of the popular Oldway Primary School and approximately two thirds of a mile from Paignton town centre which offers a wide and varied range of shopping facilities, amenities, beaches and harbour. The accommodation has been completely renovated and virtually rebuilt to an excellent standard by the current owner and now offers a well proportioned and presented accommodation which includes entrance porch, reception hallway, lounge and separate dining room, fitted kitchen, rear lobby/utility area and ground floor shower room/W.C. On the first floor there are three bedrooms plus bathroom with four piece suite including shower cubicle and from the landing there is an attractive spiral staircase leading to the loft which has light, power, velux window and double glazed window to the gable end. Outside there is gravelled area suitable for off road parking subject to consent and an enclosed rear garden arranged on three levels with lawn and area suitable for patio etc. An internal inspection of this gas central heated and double glazed property is highly recommended to fully appreciate both the size and the condition of the accommodation on offer. This cottage style terrace house is situated in a very convenient location on the level within easy walking distance to local shops and their other amenities. The main shopping centre's of both Paignton town centre and Preston are also easily reached along the Torquay Road. 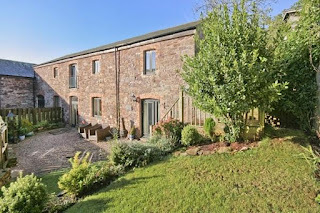 Although convenient it is in a tucked away location with Fernham Terrace itself being a short row of cottages off the main Torquay road with pedestrian access only. There is parking along the Torquay road itself. This property was modernised back in the 1990's, therefore the hard work has already been done but there is only a need now for general re-decoration and minor repair works to bring the house up to a very acceptable standard. It is quite a unique setting and each property has their own garden area to the front and rear with pedestrian access either side. We would both like to thank you most sincerely for all the hard work you have done for us and making it all a stress free situation, we cannot thank you enough. We are ecstatic with the apartment it’s wonderful, we are so happy here, Brian cant stop telling me he loves it! Well done Mark I knew you would get us there, thank you thank you. This superbly presented and skilfully extended detached chalet style residence occupying a quiet off road position in the sought after village of Galmpton. Facilities in the village include shops, barn chapel, sought after primary and grammar schools within 200 yards, sporting facilities and for boating enthusiasts there is easy access to Galmpton creek, River Dart, tidal moorings and boat yard. Also, within just a few hundred yards is Churston Golf Club and public transport connecting the town centres of Paignton and Brixham within approximately two miles. The accommodation has been skilfully and thoughtfully extended to create first floor accommodation incorporating two bedrooms and an en-suite shower room/W.C. The property which is a credit to the vendors includes large entrance porch, reception hallway, lounge overlooking the delightful rear gardens, open plan kitchen and dining room with French doors to the rear sun terrace. There is a separate utility room, two ground floor bedrooms, an office, family bathroom and separate shower room/W.C. On the first floor there is a master bedroom with en-suite shower room, small galleried landing and second double bedroom. Outside there is ample driveway parking, a single garage, enclosed front garden and large rear garden laid mainly to lawn with sun deck patio and summer house. An internal inspection of this gas central heated and uPVC double glazed property is highly recommended to fully appreciate the accommodation on offer. This well presented two bedroomed ground floor apartment is situated in the sought after Churston area close to Churston Golf Club, Steam Railway and local Inns. Coastal walks to Paignton, Elberry Cove and Brixham are nearby as is public transport connecting both Paignton and Brixham town centres which offer a wide and varied range of shopping facilities and amenities. Features of the accommodation which is a credit to the vendor include reception hall, lounge/dining room, modern fitted kitchen with built-in appliances, sun room, two bedrooms, bathroom/W.C. Outside there are level communal gardens with outlook towards the Golf club and a garage in an adjacent block. An internal inspection of this gas centrally heated and double glazed property is highly recommended to appreciate the accommodation on offer. Stanmore Tor is a delightful two bedroomed semi-detached bungalow which in our opinion has been well maintained by the current vendors. Internal features include fitted kitchen/breakfast room with oven and hob, integrated washing machine, fridge, master bedroom with en-suite shower and walk-in wardrobe, bedroom two with fitted wardrobes, sitting room with sea and coastal views, modern bathroom suite. Externally there is off road parking, garage under the property and a useful workshop/ possible utility. To the rear a delightful enclosed garden offering a good degree of privacy with decking feature and sea views. TO AUCTION 23RD FEBRUARY 2012 - AT THE ST MELLION INTERNATIONAL RESORT, SALTASH, CORNWALL. AUCTION GUIDE PRICE £120,000 - £140,000. PLEASE CALL FOR MORE INFORMATION OR TO ARRANGE A VIEWING. Albany Court is a development of high quality apartments designed for the retired. Built by McCarthy & Stone facilities include an Estate Manager who sees to the day-to-day running of the development and can also be contacted in the event of an emergency. Each apartment is also linked to a 24 hour emergency call system. There is also a delightful Community Lounge, Guest Suite, Laundry Room, well laid out gardens and ample parking. It is a condition of purchase that residents be over the age of 55 years. 25 Albany Court was is a one bedroom retirement flat has the benefit of a pleasant outlook and close proximity to Victoria Park and the Town Centre. The accommodation comprises:- Security entrance, Private Hall, Living Room, fitted Kitchen, double Bedroom having built-in wardrobes and fully tiled Showeroom/WC. 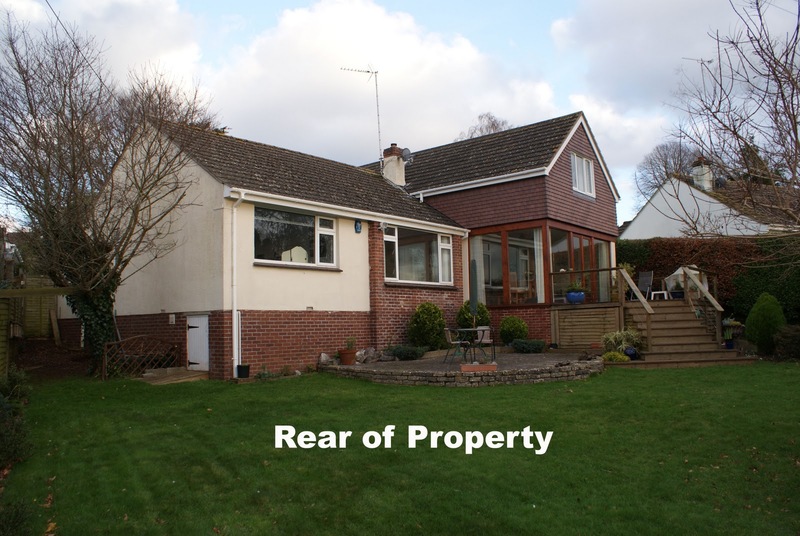 Occupying a great plot in the very desirable Broadsands residential area. Stone Park is a cul-de-sac found less than quarter of a mile from the waterfront at Broadsands Beach and Elberry Cove. 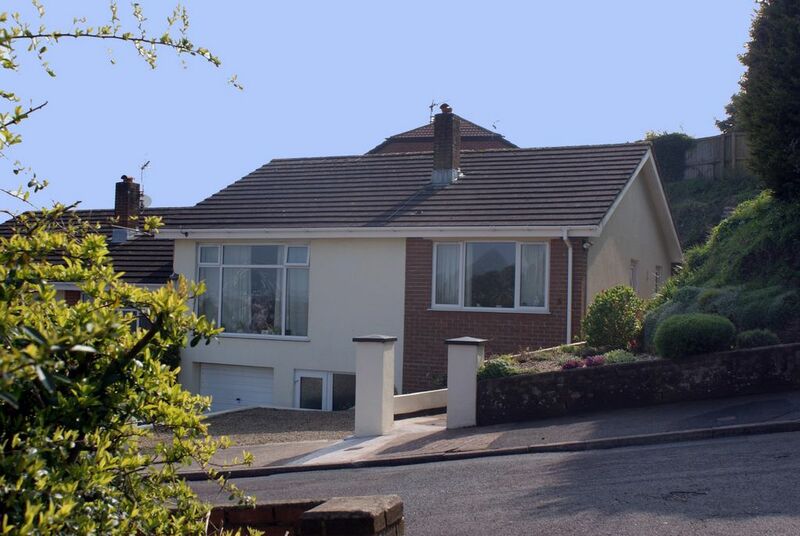 With panoramic sea views across to Torquay with the East Devon coastline in the distance. A lovely outlook enjoyed from the bungalow and from terrace, patio and sun deck to the rear. The property is well positioned to enjoy the nearby towns of Brixham, Paignton and close to the River Dart for Dartmouth. There is a local parade of shops at nearby Churston Broadway with a very useful group of shops including a One-Stop mini convenience store with sub Post Office and a Pharmacy. There is a very frequent bus service from Churston Broadway to Brixham, Paignton and Torquay. The bungalow has some dramatic coastal walks to hand and nearby Broadsands Beach is particularly "uplifting" for early morning walks or on warm summer evenings. The property has been extended and refurbished to a high standard and the whole is extremely well presented and comfortable. With good size lounge and dining area, smart kitchen opening into conservatory, one bedroom with en-suite, large utility room and a study/office. There is scope (if needed) to create an annexe or mini flat within for a dependent by linking Bedroom Two (with the en-suite) to the utility and study room. There is the benefit of GAS CENTRAL HEATING and uPVC DOUBLE GLAZED WINDOWS. Decorations are fresh and appealing. Outside there is extra parking plus the advantage of two garages. There are superb sea views from the sun deck, patio and terrace to the rear of the bungalow. The rear garden is designed for easy maintenance making this an ideal "lock it and leave it". To appreciate the magnificent views internal viewing is strongly recommended. 28 Dunstone Park Road is a refurbished 3 Bedroom Semi Detached Chalet style Bungalow situated on an elevated plot in a private road which enjoys captivating views of the bay. The property has undergone a programme of thoughtful modernisation which includes a modern kitchen with cream high gloss units, fitted oven and hob, refitted ground floor shower room and refurbishment of master bedroom suite taking full advantage of the spectacular views with sensible storage solutions and a full 4 piece en-suite bathroom with sunken bath. Externally the property is complimented by off road parking and garage underneath with neat terrace gardens to front, rear and side again enjoys the splendid views. A range of local shops are situated in nearby Marldon Road along with a bus stop and the location provides easy access to the ring road for practical access in and out of Paignton if required.